The BSD-Mobile is my pride and joy. 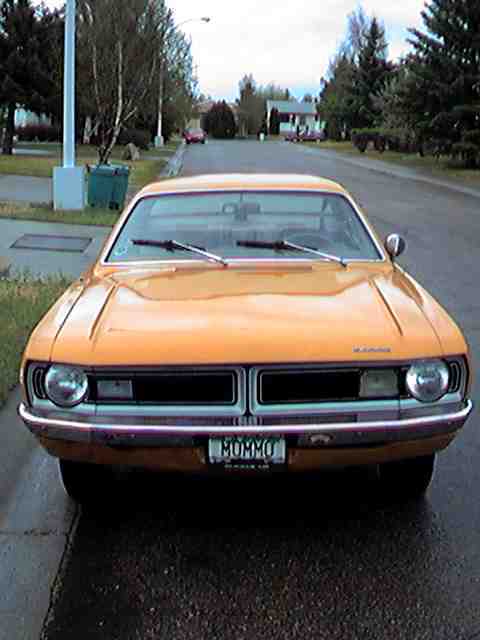 Originally belonging to my Grandmother, this 1971 Dodge Demon, was bought about a week after the original owner bought it from the dealership. Apparently the original owner wanted one with more power. Since then It's been little more than a grocery getter with the occasional trip out to the interior of B.C. I got it from her in May of 2001 after my grandmother stopped driving. 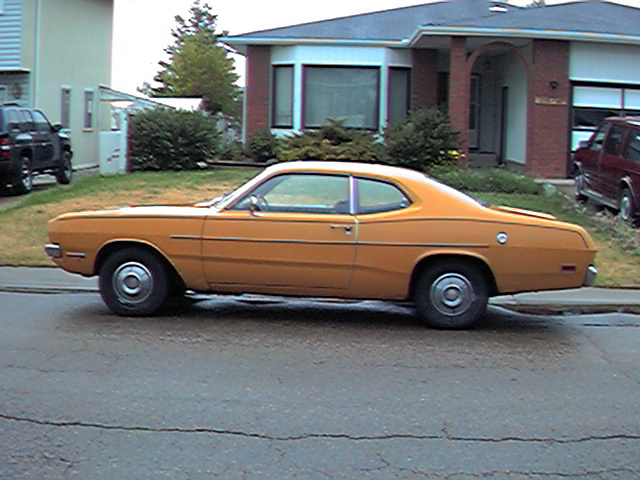 It was driven the 1500KM or so from Richmond B.C to Edmonton, Alberta, on the original engine, proving there was still some guts left in the old girl. The plan is to restore the Demon to like-new and jam a 440 cid engine into it and make it one hell of a hot rod. However, the Hacker part of me can't let an opportunity like this pass by. I've gotten permission from Kirk McKusick, copyright holder of the BSD Daemon logo, to use the logo on the car. The play on words between demon and daemon was to hard to pass up. 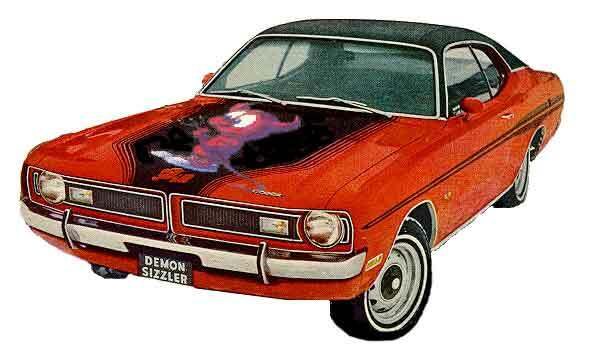 So the car is now a Dodge 'Daemon', named the BSD-Mobile. Once the restoration is further along, I plan on installing and onboard computer and optmizing an install of OpenBSD for use in the car as an MP3 player, telemetry recorder and anything else I can think of. The car is in storage for the winter. Transmission is rebuilt and Engine is pretty much together. The whole car has been sanded and primed for painting, with an initial layer of Ford candy-apple red laid down on the underside, interior and inner fenders (non visible areas). The Pro's are putting the final coat on the rest of the vehicle. The seats have been upholstered and are back together. Engine is about 90% there and is waiting to be installed. It also got a coat of candy-apple red. The bodywork is done and looks great. Many hundreds of hours of sanding are going to leave a beutiful finish. We have a number of left over bits and bobs and parts from what we replaced. If your looking for something specific, it never hurts to Email render renderlab net to find out if I have it. If I don't need it, it's for sale.